The episcopate of Ambrose of Milan (374-97) is pivotal to understanding the developing relationship between the Christian Church and the Roman Empire in late antiquity. As bishop of Milan, Ambrose came into frequent contact with the highest levels of the imperial administration, including the emperors Gratian, Valentinian II, and Theodosius I themselves. He also exerted a degree of leadership in doctrinal matters over the bishops of northern Italy and adjacent regions. Any consideration of Ambrose’s career must begin with his own writings. This volume presents some of his most important works: the tenth book of his collection of letters; the letters that are preserved outside his published collection (Epistulae extra collectionem); and his funeral speeches for Valentinian II and Theodosius I. They document not only his influence over the bishops of neighbouring cities, but also his celebrated conflicts with the imperial court over the altar of Victory at Rome, the imperial siege of churches in Milan, the affair of the synagogue at Callinicum, and the massacre of civilians at Thessalonica. In these texts Ambrose sets forth his views about his rights as bishop to govern his church without imperial interference, and to condemn any emperor whose actions were deemed to be sinful. This volume will be of value to students and scholars of the history of the Church and the Roman Empire in late antiquity, and to anyone interested in the passage from pagan antiquity to the Christian Middle Ages. 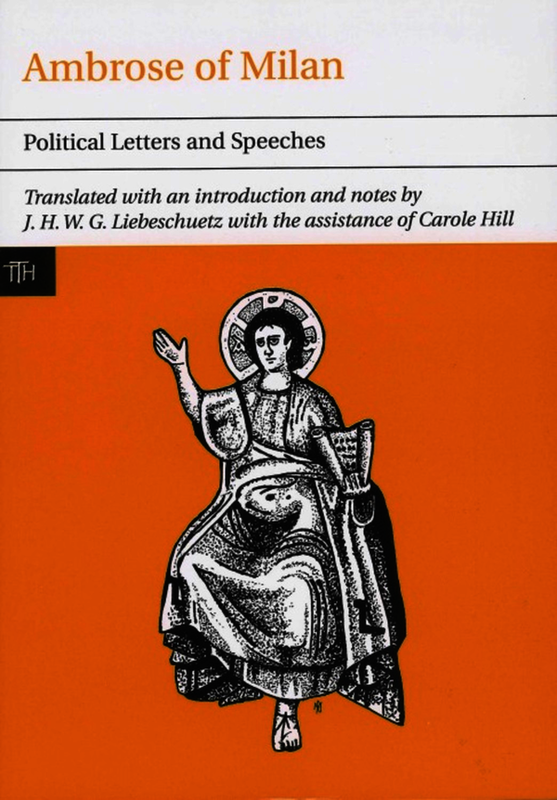 The translations in Liebeschuetz’s volume are clear and precise, and they are accompanied by informative introductions and rigorous notes… an invaluable tool for students of Ambrose, early Christian political thinking and imperial-episcopal relations. [Ambrose's]... letters have been translated and commented on with rare independence of mind by Liebeschuetz in his Ambrose of Milan: Political Letters and Speeches. J. H. W. G. Liebeschuetz is Emeritus Professor of Classics at the University of Nottingham, a Fellow of the British Academy, and Corresponding Member of the German Archaeological Institute, and was a member of the European Science Foundation ‘Transformation of the Roman World’ Project 1992-97.